Singapore’s District 10 is a scenic suburban region, featuring mélange of lush woodlands, exciting hangouts and deluxe residential communities. Located just beyond the borders of the metropolis, it offers both the comforts of urban modernity and the simplicity of idyllic life. It also happens to be one of the country’s most coveted addresses. Amid this fascinating neighborhood, the 99-year leasehold Eleven at Holland comes to life. Clydesbuilt Group’s latest enterprise is an upcoming cluster housing development on 11 Holland Link, near Old Holland Road. The 130,000-square foot property is right now being transformed into an exclusive community with 82 luxurious family homes, as well as a breadth of wellness offerings. It’s conceived to be a resort-like haven for families who expect nothing but the best. Each home will be a strata-titled, semi-detached unit with 4 spacious bedrooms. There will be seventy-four 4BR+ study units, each with 3 floors; twelve units will be facing the street. These tri-level 4BR+study homes will have a total floor area between 3,681129 and 4,348 sq ft. There will also be eight 4-bedroom units with 2 floors, spanning 3,692 to 3,885 sq ft.
Homes in such an upscale neighborhood naturally deserve high-end interiors – think marble-tiled floors and sliding glass doors in the first level. Your family will enjoy the benefits of a spacious living room and dining room, as well as a high ceiling (3.1 meters). You will also be the proud owner of a designer kitchen furnished with Smeg appliances (refrigerator, oven, hood and hob) and Hansgrohe fixtures. The bedrooms are all amply spaced, with timber floors that give the right amount of visual warmth and classic charm. Each room has an integrated closet and adjoining toilet-and-bath. These bathrooms will be finished with ceramic tiles and Hansgrohe fixtures. As you probably know, today’s homes are more than just places to sleep, eat and bond. Modern families require more than just the basics, don’t they? That’s why your new home at Eleven at Holland will be equipped with a private lift, which can carry as much as 320 kg. Each unit will also come with a two-car basement garage and an attic. And that’s not all Eleven at Holland has to offer. In addition to all those home comforts, the development also provides perks and privileges: First of all is 24-hour security – you won’t have to fret over unexpected incidents, but you can rest perfectly. Then, there’s the clubhouse and common lounge which residents can use for events and others. There’s also the indoor gym, where you can attend to your physical health. And of course, there’s a swimming pool, a children’s playground, and a barbecue grill. The surrounding neighborhood also has a lot more to give you, between the many dining options, shopping centres, parks, and others. Let’s begin with the parks: Nearby is the renowned Singapore Botanic Gardens – an expanse of tropical greenery in the middle of the city. Its collection of themed gardens, water features and other attractions are sure to give you a taste of heaven on earth. Aside from the verdant grounds, the vicinity is also filled with upbeat haunts – even the kind where you’d spot a celebrity now and then. There are all sorts of lifestyle centers, eateries and restaurants, plus a slew of establishments for your entertainment. Every single day can be totally amazing! Malls abound as well. Make your way through Holland Road Shopping Centre, Bukit Timah Shopping Centre, Bukit Timah Plaza, Coronation Shopping Plaza, Beauty World Plaza, Clementi Arcade, and King’s Arcade. All of them are just 15 minutes away or less. If you’re looking for grocery stores and supermarkets, there are also several nearby. You can shop at one of the many Cold Storage outlets near you. You can also drop by Shop n Save, Sheng Siong, Giant Hypermarket, or NTUC Fairprice. And don’t forget to drop by Holland Village for some delectable eats and fun retail therapy. Of course, a cluster housing complex with family-sized homes caters to families, and that means kids. Families with children would naturally prefer to live near a range of schools so their little ones can have a lot of good options. Your youngest children cans start of at a nearby pre-school, like Maris Stella Kindergarten, Montessori Children’s House, Happy Joy School House, The Little School House, Mustard Seed Early Learning, Eton House Pre-school or Cherrybrook Kindergarten. The school-aged ones can go to Raffles Girls’ Primary School, Methodist Girls’ School, Nanyang Primary School, Bukit Timah Primary School, Pei Tong, or Henry Park Primary School. Meanwhile, you can enroll your older sons and daughters at St. Margaret’s, Methodist Girls’ School, New Town Secondary, Hwa Chong Institution, or Dover Preparatory; and then at National JC, Chinese JC or Hwa Chong for their junior college education. Those who are considering colleges can check out Ngee Ann Polytechnic, Singapore Polytechnic, School of Science and Technology, or Civil Service College. Whenever you need to go anywhere in Singapore, many options grant you sheer ease and accessibility. You can take Holland Road, Clementi Road, or Bukit Timah Road, then get on the AYE, CTE or PIE. In a few years, the King Albert Park MRT Station will be adding to the convenience. If you now have a growing family, it’s about time you invest in something that will be gratifying for all of you. At Eleven at Holland, Homes are handsomely priced at about S$1,050 per square foot, or within the neighborhood of S$3.9 million to S$4.6 million for a 4-bedroom, semi-detached unit. This will be definitely rewarding, as it gives you a great amount of space, well-being and privacy – something that you will never have in a cramped shoebox condo unit. Generally, landed property is always more preferable, especially if it’s in such a prestigious, ideally located neighborhood. Surely your family deserves a beautiful, comfortable, and accessible home! If, however, you aren’t interested in moving into a landed home in District 10, this is still something you ought to consider. With the volume of people who dream of renting such a residence, you’ll have a lot of potential tenants. Just think about all the families who have growing children, and all the expatriates who have moved to Singapore with their kids. Eleven at Holland is estimated to reach its TOP before the end of this year, so it’s best to act soon. Contact iCompareLoan mortgage broker so you can quickly and efficiently compare mortgage loan Singapore. 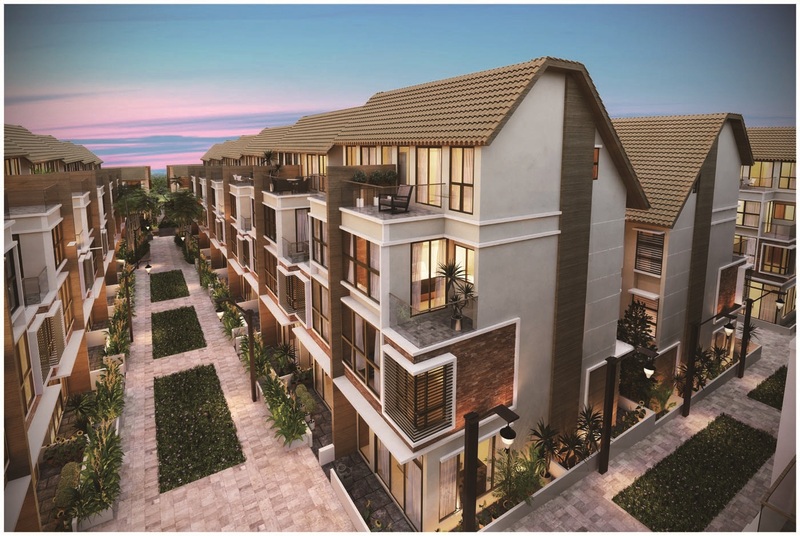 In a tranquil residential neighborhood in Kembangan, you’ll find the site of an upcoming freehold address known as Terra Villas. Terra Villas is an exclusive community with a unique assembly of strata landed homes. It’s designed to be a safely secluded residential compound for the privileged few. It will contain only seven homes, cradled by lansdcaped gardens and a wholesome view. In such a lightly populated development, you can live in the serenity and quietness that a crowded condominium building can’t quite bring. What’s fascinating is that the irregularly-shaped lot on 23 Jalan Sayang has been creatively planned to maximize space and enhance its visual appeal. Instead of having a row of units common to most landed housing compounds, Terra Villas presents an innovative modern layout that allows abundant room for all it has to offer. Aside from the landed homes, it has a number of communal comforts for the exclusive use of its residents, such as a pavilion, a barbecue area, a reflective pool, and beautiful landscaping. For your comfort and peace of mind, it will even have a pedestrian gate, a basement car park, and its own security system. All homes at Terra Villas are five-level terraced units, with three floors of living space, a basement, and an attic level. Each one has a roof terrace, balconies on all upper floors, and a private enclosed space on the ground level. It’s just the kind of residence for a large family. Every home in the development is unique: each unit differs from the next in its total floor area and floor plan. However, they all have a lot in common. For instance, you’d find a big living room with marble-tiled floors in any unit. There will also be a marble-floor dining room, a stylishly finished designer kitchen, as well as a utilitarian wet kitchen. In the basement is a family room, a two-car garage, and a utilities yard. The interiors are intelligently laid-out to allow a lot of freedom and creativity, as well as ensure enough privacy for each member of the household. The smart design scheme not only gives the living spaces a sophisticated quality; it also fills each room with a lot of natural light. Bedrooms are similarly light-filled and tastefully finished, with large windows and wood-plank flooring. All these rooms come en-suite with their own bathrooms, and are large enough to contain a huge bed and a wardrobe, with lots of space left over for other things. The Lively Kembangan Area is surrounded by a multitude of neighborhood amenities, including parks, malls, markets, and other destinations – just about everything you need to complete your life. For your groceries and home needs, you can head for the nearby Cold Storage, Shen Siong Hypermarket, Shop N Save, or NTUC Fairprice. For some retail and recreation, you have a host of malls around you: Bedok Point, Katong Shopping Centre, Siglap Shopping Centre, Joo Chiat Complex, Roxy Square, Parkway Parade, and Tanjong Katong Complex. There’s also a slew of dining options in the area – take your pick from among the many restaurants, cafes, eateries, and food markets. Another great thing about this address is its proximity to the Siglap Park Connector. Siglap Park Connector runs through Telok Kurau Park, and heads all the way to the East Coast Park. It’s a safe and gorgeous place to go jogging, walking, or cycling. When you get to the East Coast Park, you can stroll down the beach, do some water sports, or chow down at a seaside resto. Also near Terra Villas are various places for different kinds of fun. The kiddos might like the dynamic activities at Bedok Adventure park, while Mom and Dad may prefer a place like Tanah Merah Country Club, or Laguna National Golf and Country Club. For an outing for the whole family, you can plan a day at the breathtaking Bedok Reservoir Park. Lastly, the location is only 15 minutes away from a lot of places that matter: CBD, Marina Bay, Paya Lebar, Orchard Road, and Changi Airport. Terra Villas is located in a family-friendly neighborhood, not only because of the safe environment, but also because of its nearness to a lot of good schools for children of all ages. You can pave the way for a better future for your dear little ones. Start them early at Little Big Kindergarten, Charis Montessori, 3 House, St. Hilda’s, Rosemount, or Muhammadiyah Kindergarten. For their primary years, they can go to a reputable institution like Haig Girls School, St. Stephen’s, or CHIJ-Katong. You can may also want check out Tao Nan PS, East Coast PS, or Ngee Ann PS. There are also eponymous primary schools in Tanjong Katong, Opera Estate, Eunos, and Bedok West. The list of nearby secondary schools includes CHIJ-Katong Convent, St. Patrick’s, Victoria School, and Saint Anthony’s Cannossian. There are also Bedok Green Secondary, Ping Yi Secondary, and Tampines Secondary. There are also two junior colleges that are close by, namely Temasek JC and Victoria JC. If you prefer an international institution, you can enroll your sons and daughters in Eton House, Canadian International School -Tanjong Katong, Chatsworth East, NPS International, or Global Indian. A terraced home in Terra Villas can certainly be the perfect one for your family, with its spacious interiors and fantastic location. Right within your reach is everything you need for a full, productive, and exciting life. If you would prefer to rent it out, that’s a great plan too. In fact, a lot of people are seeking to rent a home in the area. As it’s near corporate centers, leisure destinations and the airport, you won’t have a shortage in tenants. You can make a good amount from the rent as well. The plan to have a home of your own begins by making wise decisions. Even though Terra Villas will yet be ready next year, you can gear up for making more enlightened decisions as soon as now. Be informed: compare mortgage loan Singapore with an iCompareLoan mortgage broker.